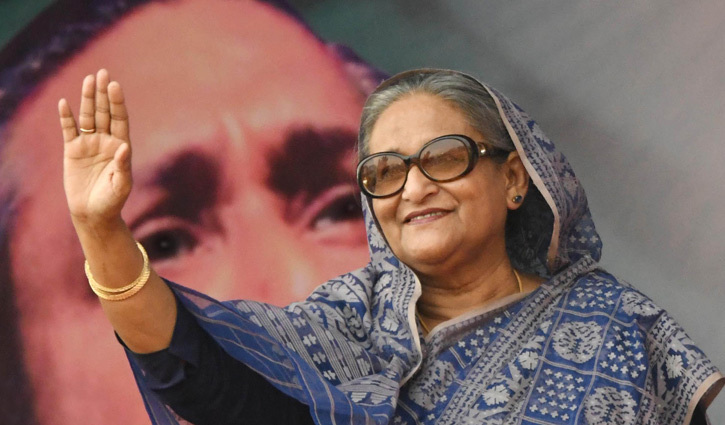 Staff Correspondent: Prime Minister Sheikh Hasina inaugurated eight new police stations of Rajshahi Metropolitan Police in the district. She also opened 21 development projects and laid the foundation stones of 12 other schemes including the police stations. The premier inaugurated and laid the foundation stones of the projects by unveiling their plaques from Madrasa Moidan in the city at 3:50pm on Thursday. Later, a munajat was offered seeking continued peace, progress and prosperity of the nation.